Whether this is your first experience with Combustion software or you're upgrading to take advantage of the many new features and tools, this guide will serve as your ultimate resource to this all-in-one professional compositing application. Much more than a point-and-click manual, this guide explains the principles behind the software, serving as an overview of the package and associated techniques. 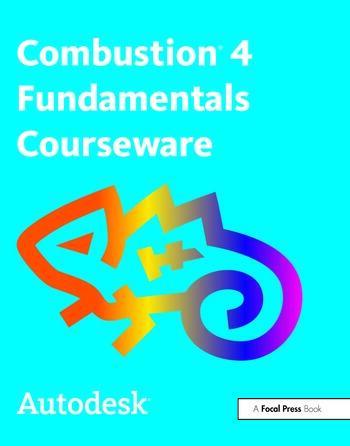 Written by certified Autodesk training specialists for motion graphic designers, animators, and visual effects artists, Combustion 4 Fundamentals Courseware provides expert advice for all skill levels. Autodesk's Media and Entertainment division produces award-winning software tools designed for digital media creation, management and delivery across all disciplines: from film and television visual effects, color grading and editing to animation, game development, web/interactive, and design visualization. Autodesk Media and Entertainment is based in Montreal, Quebec, Canada.